Literacy is a social justice issue. Join the effort to educate, engage, and inspire action. March Forth for Literacy is a concentrated focus on literacy awareness that will offer congregations opportunities to share with the whole church their involvement in literacy issues locally and nationally and give individuals opportunities to share their literacy-related experiences, either as volunteers or persons who have struggled with literacy themselves. 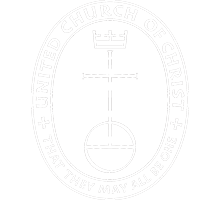 Stay tuned for updates on this page and on the UCC's Facebook page. Volunteer at an after-school program. Donate books to a local library. Build a "Little Library" in the community. 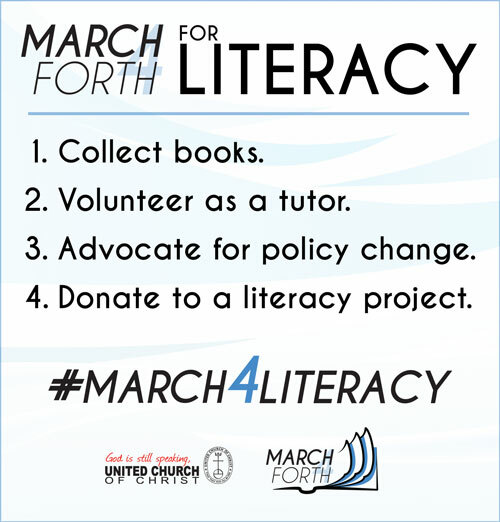 The United Church of Christ, urging congregations to promote literacy in the Reading Changes Lives initiative, reminded members to take action by collecting books, volunteering, advocating and donating in a one-day, church-wide effort—March Forth for Literacy—on March 4. For more information, contact Judith Youngman at youngmanj@ucc.org or 216-736-3714.